Let InTouchCRM grow your business while you're busy running your business using clever marketing automation. 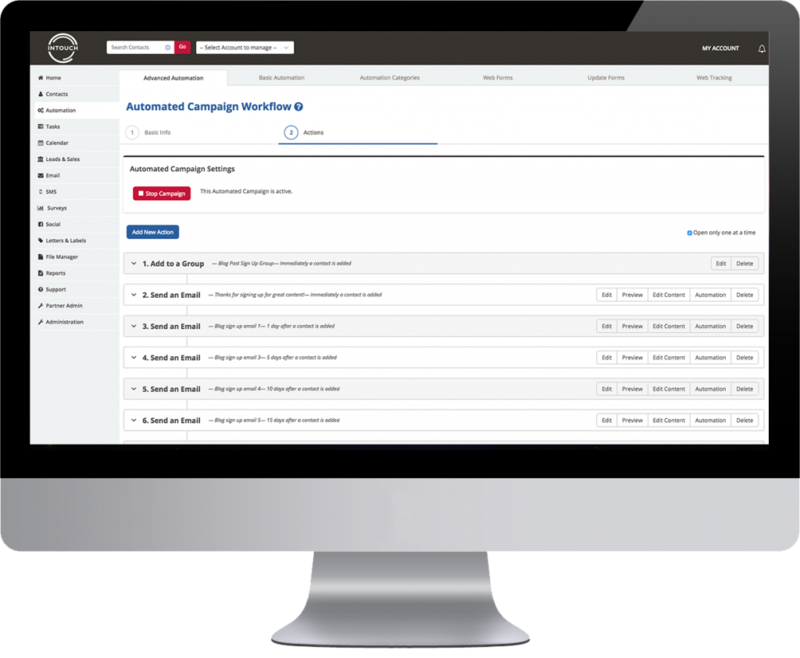 Create automated marketing campaigns to nurture your colder leads in the background while your sales team concentrate on bringing your hotter leads over the line. Allow the system to set you tasks and send your reminders automatically so that no lead drops through the net and no task is left uncompleted. Generate leads using webforms and allow the system to add them to your contact list and nurture them automatically.